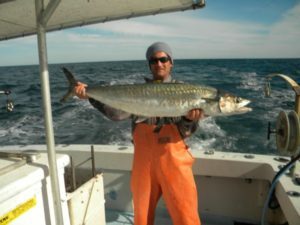 Wrightsville Beach Fishing Charter Captain Cord Wrightsville Beach fishing charters with Capt Cord Hieronymus is a local of Wrightsville Beach with decades of charter and commercial fishing experience . Captain Cord’s only goal is for you catch quality fish and have a great experience in the Wrightsville Beach, Topsail Island, Carolina Beach and Wilmington area. Captain Cord is full time charter captain. Check Availability And Book Your Wrightsville Beach Fishing Charter Online click here!